​This website is provided as a service by the Chaplaincy Ministries Department of The Church of God of Prophecy, directed by Rev. Dr. Douglas R. Stephenson. The purpose is to promote the ministry of Chaplains, connect Chaplains and organizations needing a Chaplain ministry, and to form an on-line community of those involved in this ministry. Chaplaincy exists to provide ministry beyond the walls of the local church. There are many work settings in which chaplains may serve and this ministry seeks to be a blessing to chaplains in all of these areas. A vital mission of the Chaplaincy Ministries Department is to recruit, advocate, and support Church of God of Prophecy chaplains and service personnel and their families around the world. Because chaplains work outside the walls of the church, it can be difficult to maintain contact with the local, regional, and general church. Chaplaincy Services, using all means at its disposal seeks to help chaplains and service members stay connected. Chaplaincy Ministries Introduction and Need from COGOP International on Vimeo. Are you interested in learning more about the US Military Chaplains programs? 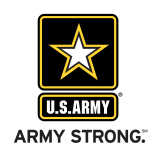 Click below for details about the US Army, Navy and Air Force Chaplain requirements, training and job descriptions.